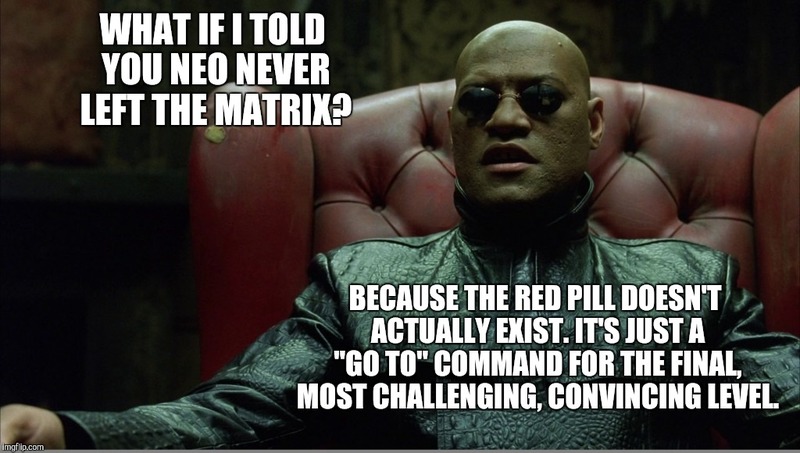 For anyone still confused about the matrix. 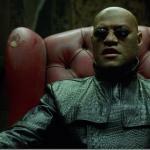 WHAT IF I TOLD YOU NEO NEVER LEFT THE MATRIX? BECAUSE THE RED PILL DOESN'T ACTUALLY EXIST. IT'S JUST A "GO TO" COMMAND FOR THE FINAL, MOST CHALLENGING, CONVINCING LEVEL.